The research excellence framework (REF) provides funding to UK universities with the purpose to support the continuation of world-class research. The amount of funding received by a university is assessed against three main criteria: the quality of research outputs; the research impact beyond academia; and the environment that supports research (REF, 2018). A priority from the outset of my PhD (Heat waves in the elderly and the impact of acute and chronic heat alleviating strategies on health) was to achieve impact beyond academia. My aim was to provide evidence-based advice that the elderly could use to improve their health and wellbeing during periods of hot weather. This year members of the Environmental Extreme Lab (EEL) returned to the medical tent at the Brighton Marathon to carry out heat illness prevention research. The purpose of this year’s research was to collect questionnaire data on runners who were suffering from a heat illness. The heat illness susceptibility questionnaire (HIS-Q) was developed by a team of researchers within EEL and the initial reliability and validity was completed within a controlled laboratory environment at the University of Brighton. The Brighton Marathon presented the opportunity to test the HIS-Q in a field based environment, where core temperatures are often higher than that achieved through controlled laboratory testing. The Environmental Extremes Lab once again supported athletes preparing for the Marathon des Sables this year, considered by many to be the world’s toughest foot race. Adding to the challenge of six stages, covering over 250km across sand dunes and desert, participants are required to carry all their own kit, have a limited water supply and, of greatest interest to our lab, do so in temperatures ranging from 30-50oC. 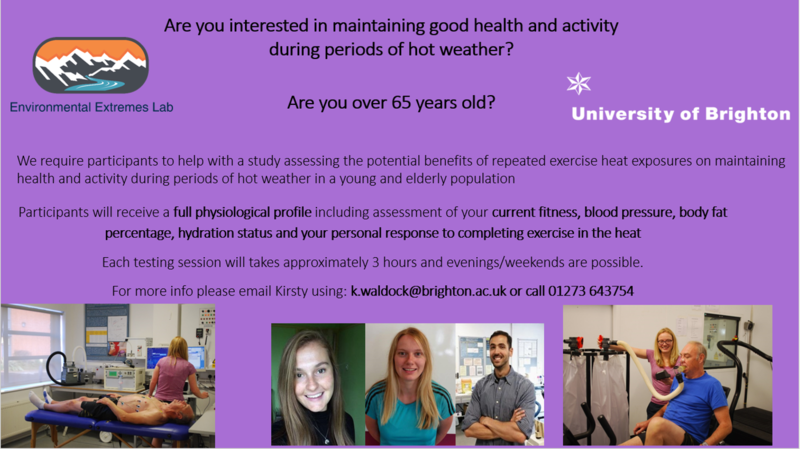 We are currently recruiting participants who are over 65 years old to take part in a research study that is examining different ways to prepare for hot weather in the UK. Kirsty Waldock, Rebecca Relf and Gregor Eichhorn are conducting this research as part of their PhD studies and would like to speak to you if you are interested in getting involved. Please see the recruitment poster below for details. This research fits into a broader research theme within the Environmental Extremes Laboratory of ‘heat waves and the elderly’ and what practical heat alleviating methods can be used to reduce the negative consequences that hot weather can have on health, particularly during exercise. 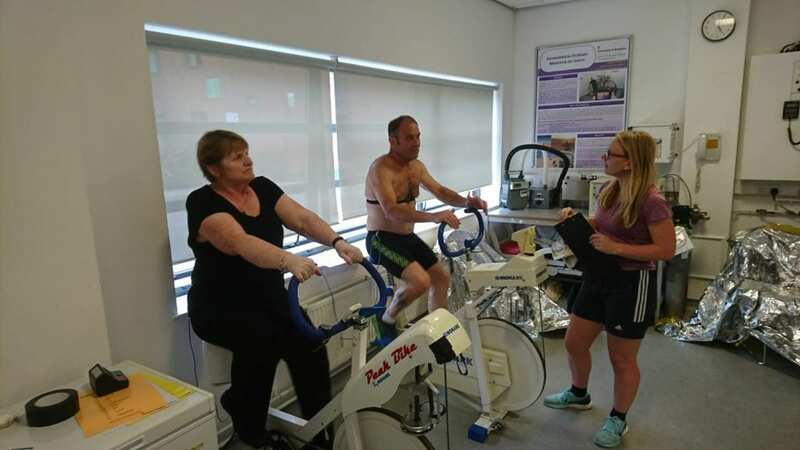 Over the past few weeks, Dr Ash Willmott and PhD students Rebecca Relf and Kirsty Waldock, have helped the MSc Applied Sport Physiology and MSc Applied Exercise Physiology students investigate the sudomotor responses while exercising in a hot, humid environment (35⁰C, 60% relative humidity), replicating expected conditions for the Tokyo 2020 Olympic Games. Led by Ash and his current research theme of investigating alternate methods of heat acclimation outside of the traditional lab-based environmental chamber protocols, the students also assessed the efficacy of wearing a sauna suit during exercise in temperate conditions (20⁰C, 40% relative humidity). Congratulations Josie Adams – 5th in Coastal Challenge! Josie Adams, 26, an ultra-endurance athlete sponsored by the charity Paramonte, approached Dr Neil Maxwell and the EEL team at the University of Brighton to aid her with preparations for the Coastal Challenge in February 2018 – a 236 km race through part jungle, over trails and up into alpine terrain. Of course, the EEL team did not hesitate in declaring their support for Josie. Rebecca Relf took the lead, organising the week leading up to Josie’s departure for Costa Rica, where temperatures during the challenge were expected to be around 30°C whilst also very humid (~60-80% relative humidity). 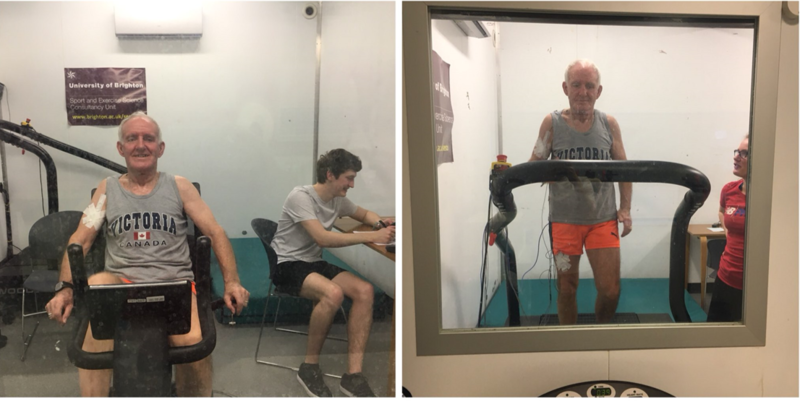 Rebecca and three other PhD students (Jason Newbery, Greg Eichhorn and Rosie Lewis) supported Josie in completing 9 heat acclimation sessions in 6 days. Although, taking a backseat on this occasion, support in the form of spreadsheet design and heads popping into the labs by Ash Willmott and Neil was greatly appreciated. Hot vs. Cold vs. Altitude: which environmental extreme is worse? As part of our HB710 – Applied Environmental Physiology – Module which sits within our MSc in Applied Sport Physiology or Applied Exercise Physiology we ran a debate yesterday which we have run for the last few years on which environmental extreme is worse – heat, cold or altitude? The idea came from two BBC articles that posed the question of which environment was more challenging. It was a fun activity at the start of the module to help contextualise some of the problems that environmental extremes can bring and allow some of the students who are newer to environmental extremes to become acquainted with the subject and considerations. There is an underlying objective, which is to make the students think more about how they use research evidence, especially in graphical or tabular form to strengthen their arguments and rationales as this will help them later in the module’s assessment, but also stand them in good stead beyond their degree. Marathon des Sables Support 2018…2 Months To Go! With only two months to go until the 33rd annual Marathon des Sables 2018 race, the University of Brighton’s Environmental Extremes Laboratory (EEL) has been busy completing many one-off heat pre-screening tests and arranging heat acclimation protocols for ultra-endurance runners to include in their important tapering periods in the lead up to race departure. The key to a safe and successful Marathon des Sables race is preparation, education and adaptation. Environmental Extremes Lab Team Prepare for Tokyo 2020! 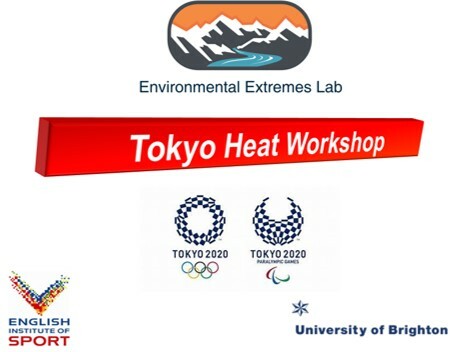 The University of Brighton’s Environmental Extremes Lab (EEL) have been commissioned by the English Institute of Sport (EIS) to produce a resource pack that will contribute to developing the EIS’ heat optimisation strategy leading up to the Tokyo 2020 Olympic and Paralympic Games. On Thursday 11th January, we brought together the minds of twenty-one of the EEL team (twenty-two if you include Carl James on Skype) to scope out the challenges and potential strategies that can be captured in the resource pack. The pack will be for practitioners, other SSM staff and coaches working with athletes from a variety of sports / events to help them best prepare for the Tokyo environment. A huge congratulations to Josie Adams, who is an ambassador for the charity Paramonte that we work very closely with, and had a spectacular performance in the inaugural MARATHON DES SABLES (MDS) PERU ultra between the 26th November and 6th December 2017. Josie was first female Brit home, finishing 6th from the females (overall position 49th from 222 finishers). The MDS replicates the original race: approximately 250 km divided into 6 stages, completed at free pace in self-sufficiency conditions in a desert environment and with the support of an organising team. The event took place in the South American Ica desert, 300 km south of Lima, which is one of the world’s driest regions, with huge dunes and sandy plateaux between the Pacific Ocean and the Andes cordillera. Prior to Josie leaving, she was exercising in our environmental chamber in the conditions to be expected in the race and discussing with members of the Environmental Extremes Lab about some last minute thoughts for preparation. Josie was filmed in the lead up to the race (including while at the University of Brighton) and during the race and so we are looking forward to seeing the video footage when it is complete. Josie is already planning her next ultra – The Coastal Challenge in Costa Rica – in February 2018. We will again be supporting her as she prepares for the race, but our students will also benefit from a Q&A session with her in the Spring of next year. 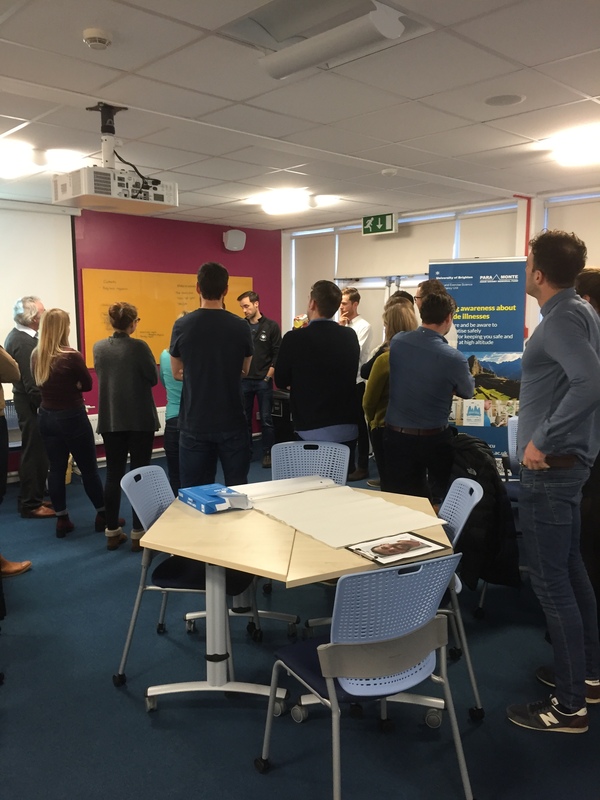 On our Environmental Extremes Lab (EEL) Blog at the University of Brighton you will find news about what our team have been doing across our teaching, research and consultancy provision. There is some historical material explaining how EEL evolved, but also current material about our vision, mission, team of staff and research students, facilities we have here, research themes and their impact. We will keep you posted on key dates for your diary and any exciting news as well. The iconic image of Machu Picchu, reflects our passion for extreme environments, desire to carry our applied research that is built around a strong foundation of learning and a major achievement in the evolution of the Environmental Extremes Lab; Peru 2013- Learning Through Adventure.